My next major project is to make a Gibson Girl ensemble for an event in April. 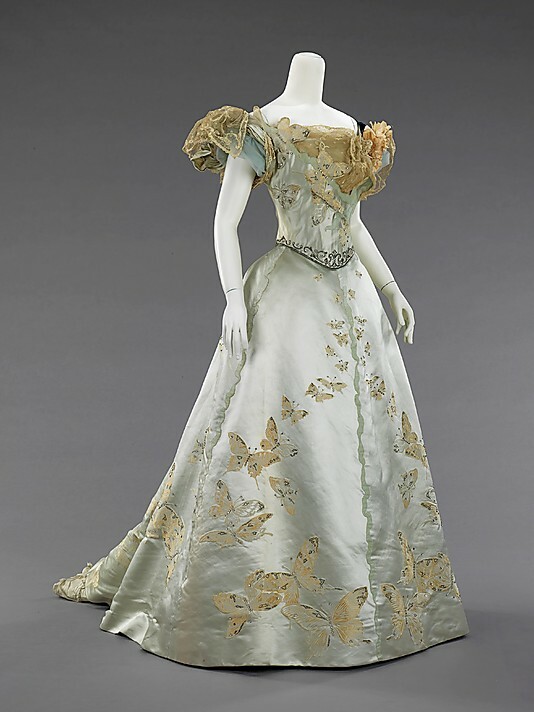 I’ve been looking at pictures from the Metropolitan Museum of Art’s website, and I rather like some of the elements in this beautiful butterfly dress. In particular, I like the use of appliques, and the embroidery around the bottom of the bodice. If you look carefully there are little rhinestones scattered about. I am not sure yet about the dress design but I knew I wanted embroidered tulle lace. 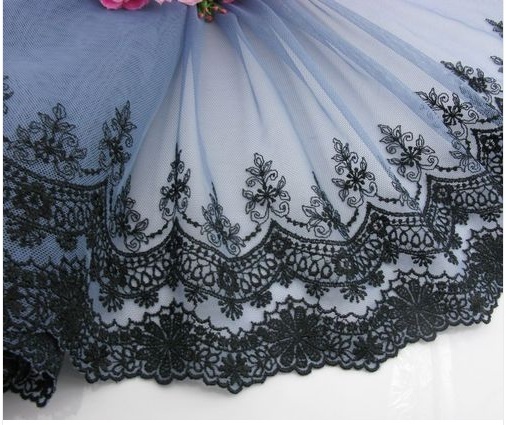 I decided to buy some great lace and then find a solid-colored fabric to match, instead of the other way around. My color scheme will be baby blue, accented by black. It reminds me of Alice’s dress in Tim Burton’s Alice in Wonderland. Posted in Gibson Girl and tagged costume, edwardian, gibson girl, sewing. Bookmark the permalink.